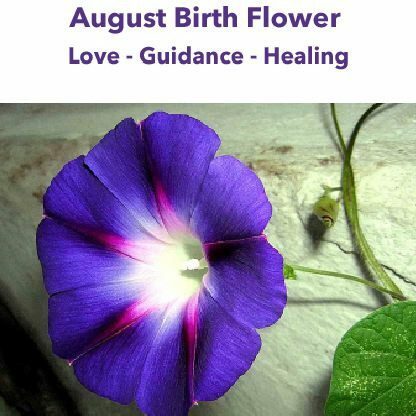 Born in the month of August zodiac flower Morning Glory shows that you are thoughtful & reflective. You tend to think & plan first before you take any action. You are organised and very observant. You have a natural eye for detail, and can be very analytical. You love to help people, and often use your organisation skills to help others who struggle in "getting their act together." You bloom beautifully right where you are planted, and you have a neat way of making things right & tidy. People come to you for guidance & healing.